Change is happening all around us, and I would like to suggest a January conversation to you. Let’s talk story about our response to the whirlwinds of current change via the skill-building of Critical Thinking and the value-alignment of Congruency. Value Preview: In this posting, we will also consider the value alignment of Managing with Aloha’s Aloha Spirit, Ho‘ohana, ‘Imi ola, Ho‘omau, Kākou and Lōkahi. So much has happened in our world over recent months. Subsequently, I believe that 2017 will prove to be different for us for a number of reasons, locally, nationally and globally. It will be a year wherein we more clearly understand how we have been, and will now be governed, and how much our laws and governance actually affect our lives. These changes and our heightened awareness of them loom in health care, and are already crystal clear in business. I can’t recall a similar period within my own lifetime, where the propriety and ethics of government spilling into business concerns are the topic of prevailing, widespread conversations—and of alarm. We’ve been wary of Big Business for a long time; now people are getting frightened by it. Are the rules really changing, or is it time we stop looking the other way, because ‘everyone’ actually refers to only the affluent or vocal? What we do about these shifts and changes, will define what kind of citizens we decide to be, and how we will newly define our professionalism. None of us need be smalltime-hometown, ‘only at work’ players anymore if we choose to exercise our voices, and play a larger role. Our circle of influence is as large as we choose to make it; we live in an era, where the local, national, and global is more reachable than it ever has before, and we can be heard in each realm. 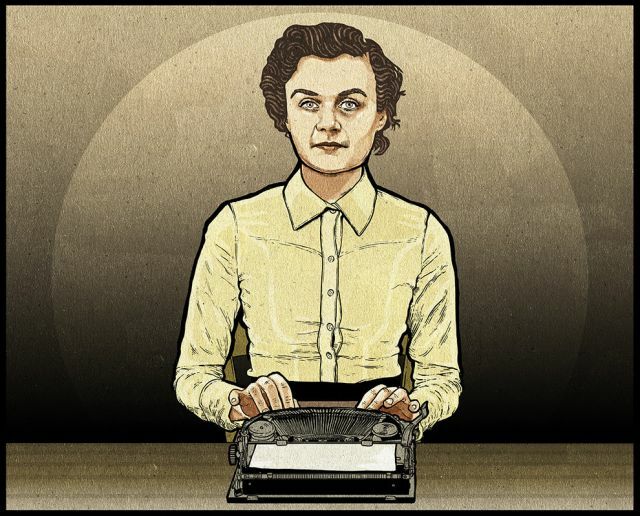 Image Credit: Clare Hollingworth, The Untold Story of the Woman Who Broke the News of World War II, Buzzfeed. Hers was a fascinating HO‘OHANA as a news reporter long before the dawn of social media and journalism as we know it today. She died this past Tuesday at age 105. Since then, I’ve noticed several articles making the rounds on Congruency. A 1900-word essay, Shame on You by Firmin deBrabander for Aeon. To be congruent, is to “be in agreement or harmony”—also the definition of our value of Lōkahi. We mostly speak of Lōkahi in connection with teamwork and conversational savvy (as with negotiations and reaching the agreement of consensus), however Lōkahi is also about being true to yourself and who you are. It’s being willing to fully express the alo + ha of your Aloha Spirit in authenticity displayed for others, yes, but also with a self-fulfilling accuracy, enabling you to live in harmony with your own spirit. Is this a time for alarm, or is it a time for reinventing ourselves and being seekers? It may be that past professionalism shackled us, and we now have the ‘new world opportunity’ to blend our personal and professional lives with the work/life integration of Pono we never entertained as our possibility before. It remains an individual decision (at least for now.) And remember: Change is rarely an all or nothing proposition. As our current value study reminds us, we have constants with which we Ho‘omau, and “Love the ones we’re with.” That’s congruency too. If we are to be successful in this Ho‘ohana exploration, decision-making and self-coaching, Critical Thinking is essential. I found this page, published online by CriticalThinking.org to be excellent: Our Concept and Definition of Critical Thinking. It outlines the case for critical thinking, starting with a clearcut statement of the problem we face when we don’t learn this skill, and practice it. It outlines the tangible benefits of being a well-cultivated critical thinker. Up to now, I’ve considered critical thinking to be a skill cultivated by lifelong learners; I’ve thought of it as an ‘Ike loa practice. Learning is a survival skill, and a self-developmental stretch for growth. In recent months, I’ve become highly sensitive to how crucial this skill of grooming our critical thinking is, as citizens who rely so heavily on our media. We have allowed others to tell us what to think, and we can’t be this complacent anymore; we need to dig deeper as we inform ourselves fully, so we can take our Ho‘ohana actions responsibly. Critical Thinking is a skill for a better life. Talk story about Critical Thinking and Congruency in your own conversational circles this week. Be willing to explore your biases in your reaction to change, and in your impulsive decision-making. Explore how you can help each other shape the most meaningful Ho‘ohana personally, professionally, and as a citizen of the world in 2017. It takes all of us to succeed in bolstering the Aloha Spirit individually first and foremost. As the Ho‘ohana Community, we know how much better it’s been when Kākou, worked on together. Be Congruent with a focus on our Aloha Intentions. Not shy about promoting this, because it works! Jumpstart: The Simplest and Best Managing with Aloha Toolkit there is.